Co-operatives Limited, but remote support solutions provided instant access. When Kent Kostuk set out to replace 245 handheld devices across four warehouses, the industrial engineering manager anticipated implementation would take at least a few months. His company, distributor and wholesaler Federated Co-operatives Limited (FCL), operates warehouses widely spread across western Canada. "Reaching most of our warehouses requires air travel or a five- to eight-hour drive from the home office in Saskatoon," Kostuk says. He envisioned on-site assistance and a phased approach, rolling out the new handhelds first to one location, waiting at least one month to identify any problems, then moving on to subsequent sites. Instead, he deployed mobile computers at four locations in just three weeks. 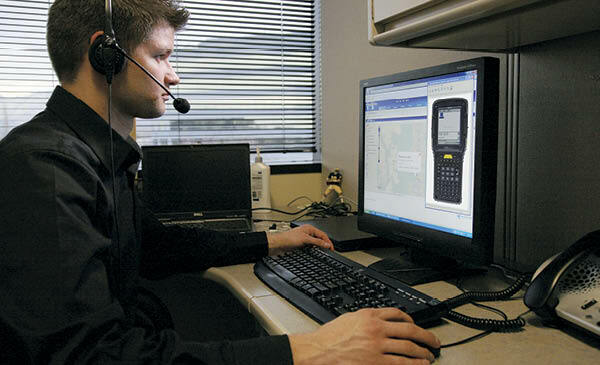 Remote control technology allowed his team to support end users without ever leaving Saskatoon. As Canada's largest co-operative wholesaler, with 2011 total sales of $8.2 billion, FCL provides centralized wholesaling, manufacturing, and administrative services to 235 co-op stores across western Canada, helping them reduce costs and operate more efficiently.